I've missed a few Stunt Dad posts last week due to some extensive traveling. But what I didn't miss was spending some face time with the boys—and I have 3 apps to thank for that. These little wonders of technology allowed me to both see my children's smiling faces as well as play some video-friendly games with them—and I am sharing these apps with you today. FaceTime is a bit of awesomeness from Apple that makes video calls from Apple devices a fairly simple process. On the iPhone, it is an option you can select from your contacts lists—so starting a video chat is as easy as a click. The big benefit with FaceTime is that the person on the other end does not have to be logged into a service in order to receive a video call. So it is much like making a regular phone call. Monkey has an iPod touch, so all he has to do is click to initiate a video call—and as long as I am connected trough a WiFi network—my phone rings and I answer to a giddy little boy. The downside is that (at least in my experience) calls are dropped often and it can take a long time for calls to connect. Much of our video call time using FaceTime may be spent redialing. VTOK is a great app for those homes that are big GMail/GChat users. VTOK let's you use GChat via your smartphone to IM, SMS (using Google Voice number), or video chat. This is a great service to use when you have either agreed to give someone a call or you see they are logged in and you want to holla'. The app mentions that it will run in the background so that you don't have to be logged in to receive phone calls, but I have not had much luck with that. After a while, I seem to be unavailable to incoming calls. The app description also says it works over 3G, although I believe that is just for the IM and SMS features. The upside to VTOK is that the calls tend to connect quicker. Tthe downside is the making sure everyone is logged in (although maybe that is a bug in the process of getting fixed or my own user issue). 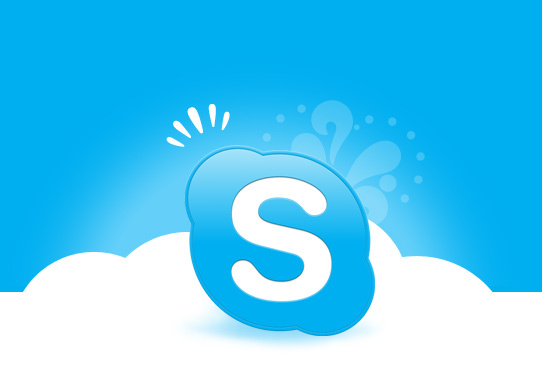 Skype is the final video chat app that I used for video calls, and after the first day, begrudgingly became the default . I say begrudgingly because my work and home are already entrenched in GMail, so I was reticent to have to login and maintain a Skype account. But in the end, it required less tech support (my wife was having problems getting GChat plugin installed on a newly restored laptop) and it provided quick connecting with the best call stability. Over seven thousand miles away, Skype connected me to my family so I could eat dinner with their breakfast and breakfast with their dinner. And now for 3 fun video games to play while far far away. Superman: There is a lot of magic to be made with a camera. To pretend to fly, simply bend over in a right angle position and stick your arms out like superman. Then, slowly move into the camera frame making sure never to reveal your legs. To your little one it will look like your flying on the screen. Hide and Guess: Take turns covering up the camera and then hiding. Then, uncover the camera and the other person gets 5 guesses as to where you are hiding. Lick: To a 3 year old, there is something hysterically funny about seeing the screen turn into a gross gigantic tongue. Before saying goodbye, we usually trade "licks" by getting within a few inches of the camera, opening our mouths wide, sticking out that big licker, and licking up. For the visual to really work you will need to practice what distance from the camera gets the grossest results, and therefore, the biggest laughs. How about you? What video apps or games do you play when far far away? Pin It Now!